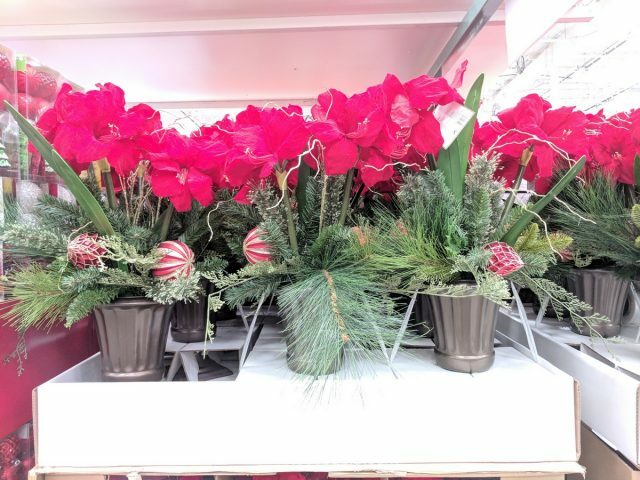 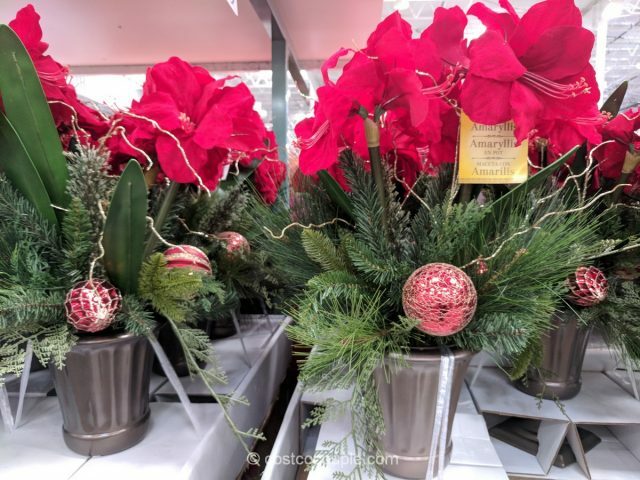 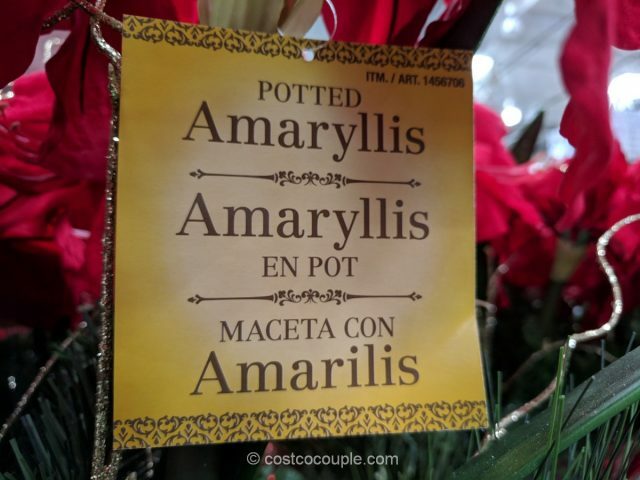 Get instant vibrant color in your house during the holiday season with the Artificial Potted Amaryllis. 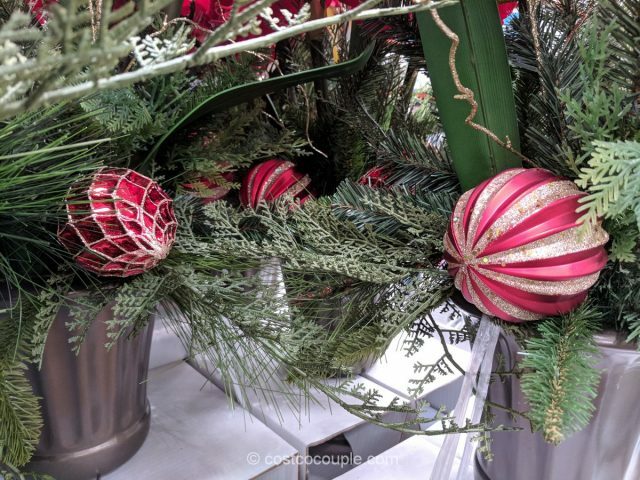 It comes in an urn in antiqued bronze finish and the arrangement includes petals, greenery, and festive Christmas ornaments. 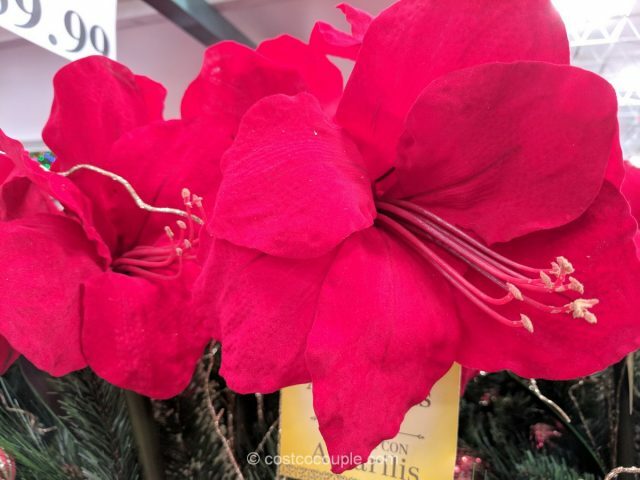 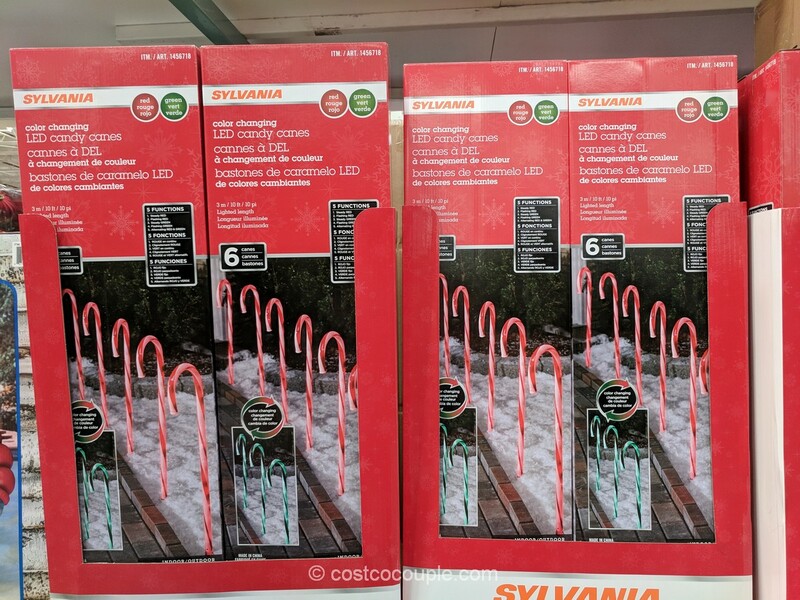 No watering is needed and it’ll last year after year! 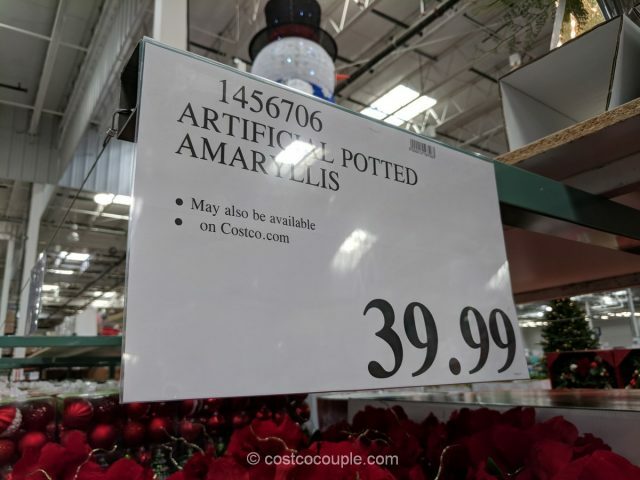 The Artificial Potted Amaryllis is priced at $39.99.